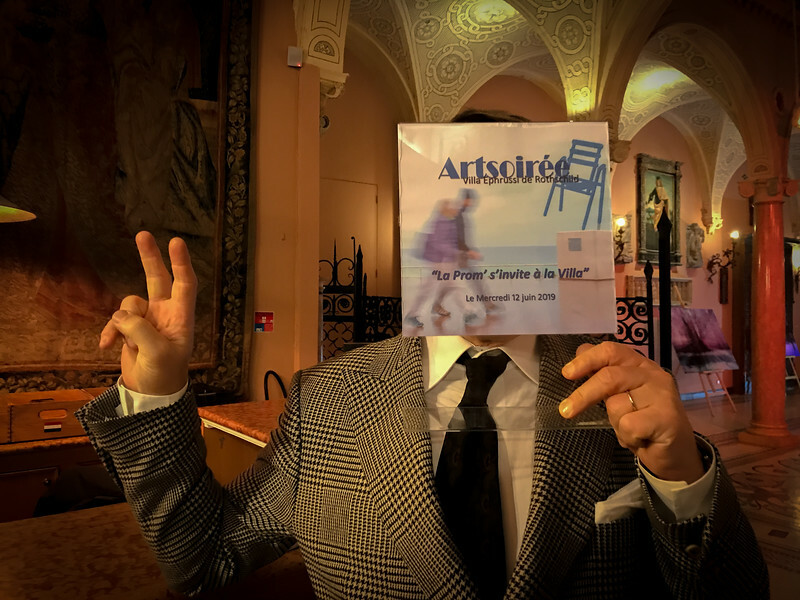 The friends of La Villa Ephrussi de Rothschild and rivieraARTevents have united to be able to offer an exceptional evening at the Villa Ephrussi de Rothschild. 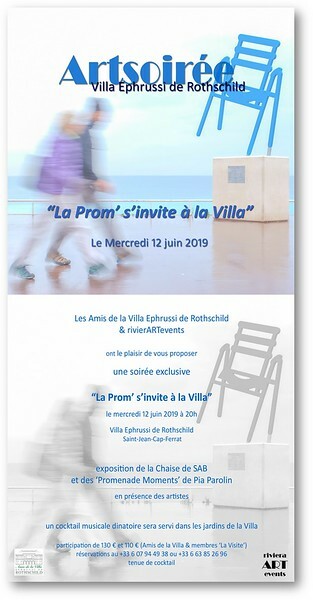 « La Prom s’invite à la Villa », thanks to two important artists from Nice, whose works will be the focal point of the cocktail evening held in the sumptuous gardens of the Villa. 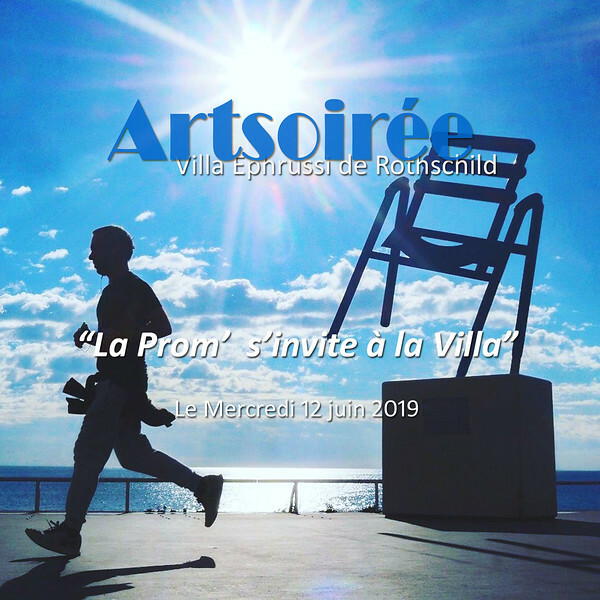 SAB will be telling us the story of her famous “Blue chair” and Pia Parolin will be talking about the Promenade with her photo series “Promenade Moments”. An exclusive evening , which, as well as the exhibition itself, will also allow you to discover the art by discussing the work with the artists whilst listening to three young ladies singing to the sound of Boogie Woogie outdoors in the gardens during a cocktail dinner.